Looking for a creative yet personalized father’s day gifts? 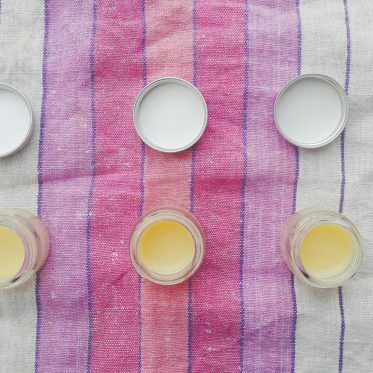 Have a look at these 5 easy homemade skincare recipes for men you can make yourself. Make a vintage father’s day gift box and spread some love and creativity to the special men in your life! Looking for original father’s day presents? 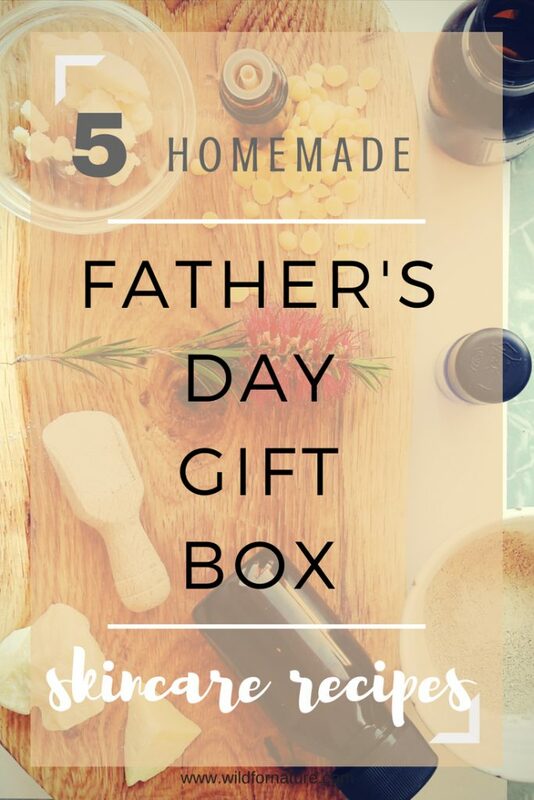 Try to make this father’s day gift box! I’m certain this combo of personalized father’s day gifts can make any man happy. How many times have you struggled to find a perfect gift for him? Shopping for men is not as simple as it is for women. I don’t know about you, but I always believed it requires much more brainstorming and originality. That’s why I’m always on the lookout for personalized father’s day gifts. I mean, what can be better than a nice father’s day gift box, full of fragrant (I mean, manly) skincare products! How to get the box? You can recycle any wooden box or crate you have at home. Making some vintage labels for the products would make it extra nice. If you have none at home, I found some great boxes on Amazon: these rustic country crates, a pack of two wooden boxes, and this storage display box (gorgeous!). This is a very nourishing oil that will leave his beard smooth and nurtured. For me, argan oil is a must when it comes to skincare and it promises to maintain healthy skin and hair. 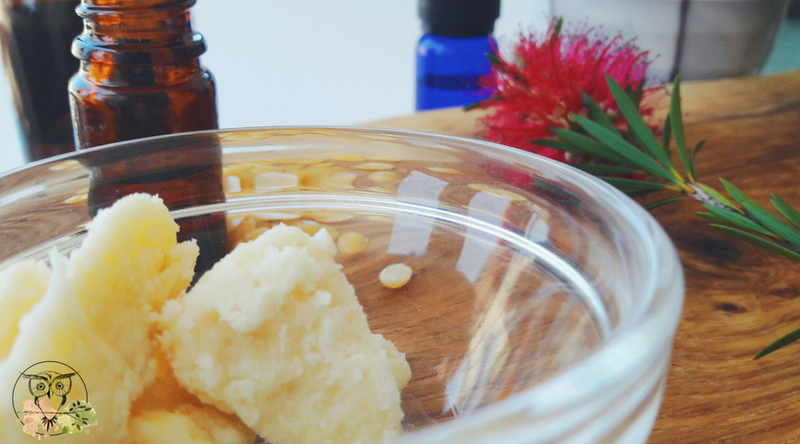 Jojoba oil is very beneficial as well, and hemp seed oil is simply the cherry on top. Hemp seed oil is easily absorbed and very nourishing. 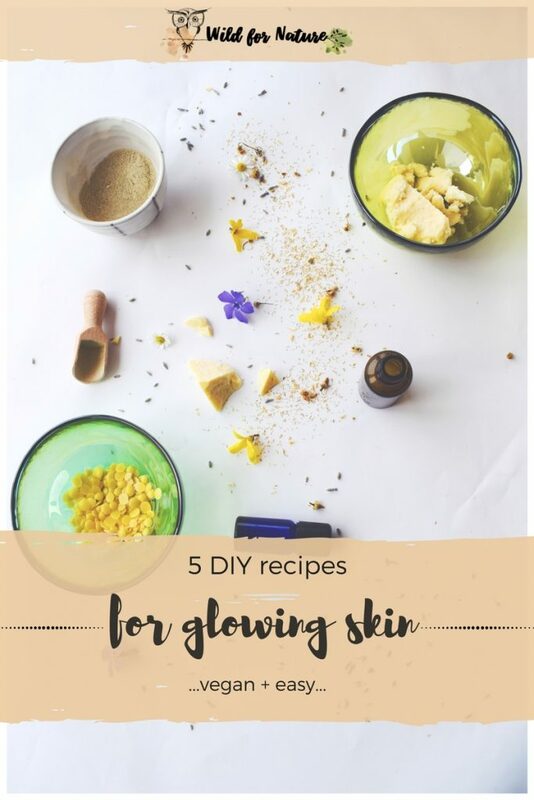 It’s full of beneficial components, such as essential fatty acids and vitamins (read more on hemp seed oil skin benefits here). It promotes healthy hair and stimulates the growth, making the hair thicker and stronger! The scent may not be too attractive, but you can cover it with essential oils. Measure and pour the ingredients in a 2 oz glass bottle. Slowly roll it between your palms so that all the ingredients mix. Feel free to apply less/more essential oils, according to your preferences and likings! Shea butter, olive oil, and essential oils make this shaving cream nourishing and gentle to the skin. My man loves this recipe and he always asks for more. I love adding shea and coconut to my DIY skincare recipes. Both incredibly soothing with numerous benefits, they make an excellent combo in any recipe. Omit the clay if you have none at hand. I used baking soda in this recipe because it makes the shaving cream foamier and fluffier. You can omit it if you wish, but I wouldn’t if fluffy is what you’re going for. 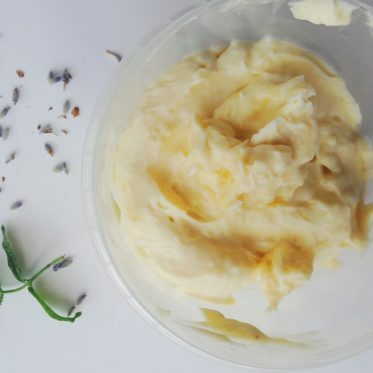 If you live in a very warm climate and your coconut oil and shea butter are already extremely soft, you can skip the melting part and head straight to step 3 (adding the ingredients and whipping). Many men don’t like the greasy feeling anywhere on their skin, but still want nourishing effects from various oils and butters. I solved the problem by combining the oils with watery ingredients that make this aftershave spray. I know, I know. How can a facial scrub be manly? We’re all obsessed with exfoliating, applying dozens of products to maintain our skin healthy. But men? Well, …scrub is not on their weekly to-do-list (I’m pretty sure of it). But it should be, right? I made a manly facial scrub that can be used daily, or a few times a week. Bentonite clay is a powerful healing clay that cleanses the skin of all the impurities, dead skin cells, and things alike. It promotes healthy skin and in a combination with spirulina powder, it will make it healthier and glowing (but in a manly way :). To use, apply to dry skin and gently massage the face. You can substitute bentonite with kaolin clay if his skin is sensitive, dry, or mature. Otherwise, bentonite works for oily, acne-prone skin, combination to normal skin. Make sure to stir the mixture with a plastic or wooden spoon. Clay should not come into contact with metal. This scrub can be used several times a week, even daily, if preferred. Since our men are quite active; whether sports, handy work, or heavy work, they need an occasional relief for tired and aching muscles. 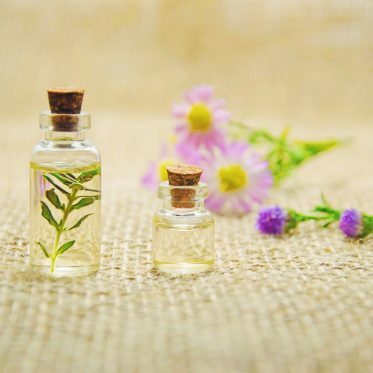 All essential oils, along with calendula oil have anti-inflammatory properties! They make an excellent addition to this recipe. They soothe tired muscles as well as any pain. 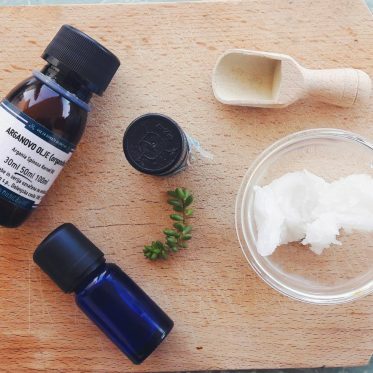 Coconut and shea are just the base (even though very beneficial as well) for this soothing salve you can make in no time! 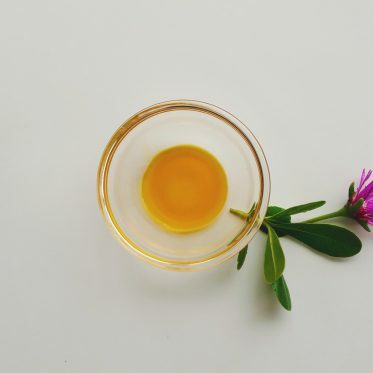 You can make your own calendula infused oil. See this post on calendula health and skin benefits for more info! All the essential oils are soothing for the muscles. You can adjust the scent to your liking and change the amount. In the recipes above I’ve provided personal preferences in terms of essential oils. If you don’t like my selection, have a look at the following list and choose the best for your personalized father’s day gifts. 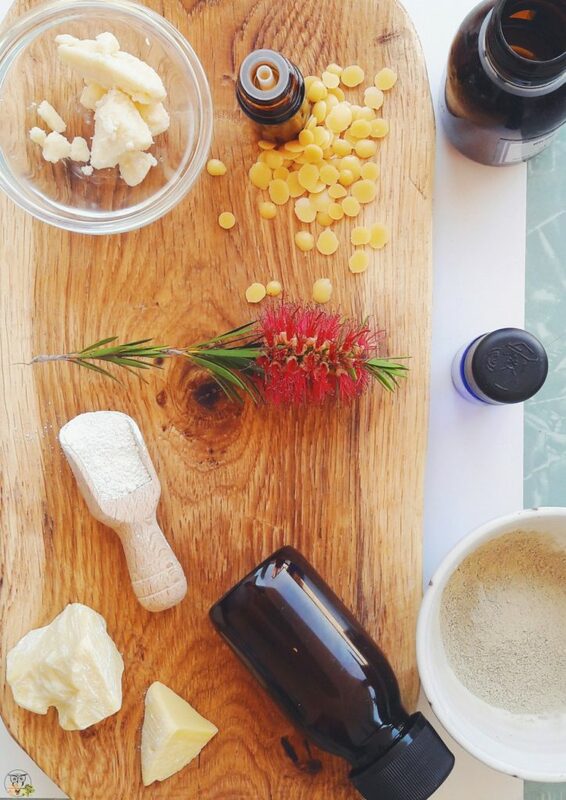 I’ve gathered best essential oils that make all the homemade skincare much more manly and serious. We love our roses, let them have the fresh and stronger scents! Just joking, but these also are the best for the men’s health as well. I wish you happy creating with this father’s day gift box!